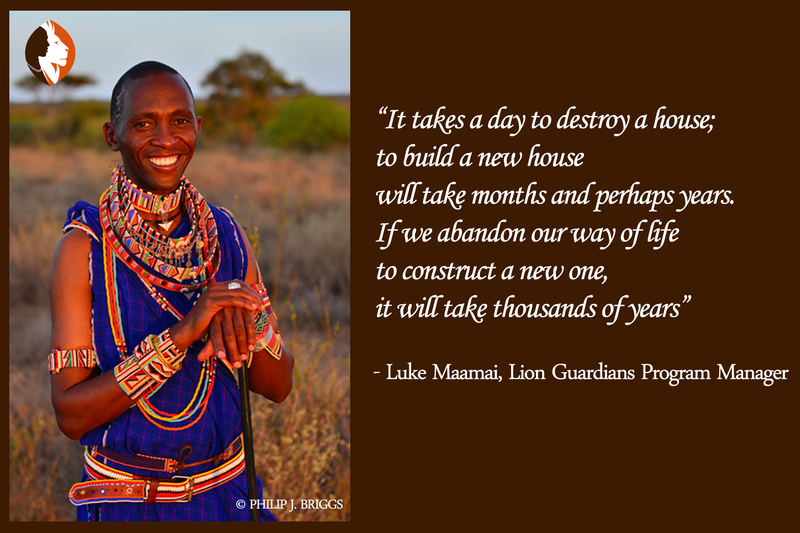 Lion Guardians – From boy to warrior to elder…. 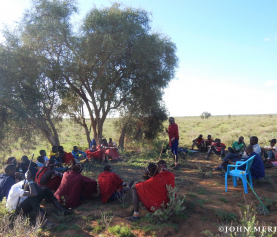 Home / Amboseli ecosystem / From boy to warrior to elder…. 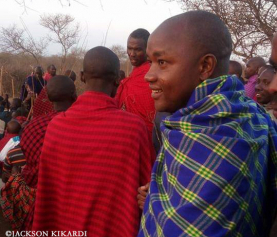 Traditionally, Maasai boys were given basic cultural training by their seniors while in the field tending the cows and goats, hunting birds and ferreting out beehives for honey. At the age of fourteen the boys would then undergo circumcision. At this stage the warriors-to-be, wore bird-feather headdresses to symbolize the long hair that they were about to grow. Then they would enter the warrior’s stage that was almost militaristic in nature and encouraged the feeling of being part of a brotherhood. The warriors lived together and ate every meal together. 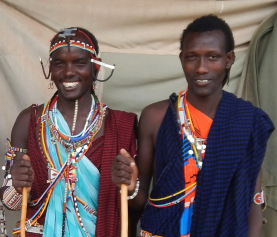 At the age of 35, they would officially finish their years of community service as warriors and become junior-elders. This transition is celebrated with the “Enkang oo-nkiri” (meat ceremony) and is performed in a selected camp and includes the wives of the initiating junior elders. The meat ceremony permits warriors to eat meat prepared by women of the homestead, which they could not do as warriors. Every graduating warrior is anxious to see this date.